WordPress-HappyFox Chat integration allows you install chat widget on your WordPress site (self-hosted WordPress or WordPress VIP). 2. Go to Apps → Select WordPress. 4. Click Get API → Copy the API Key. 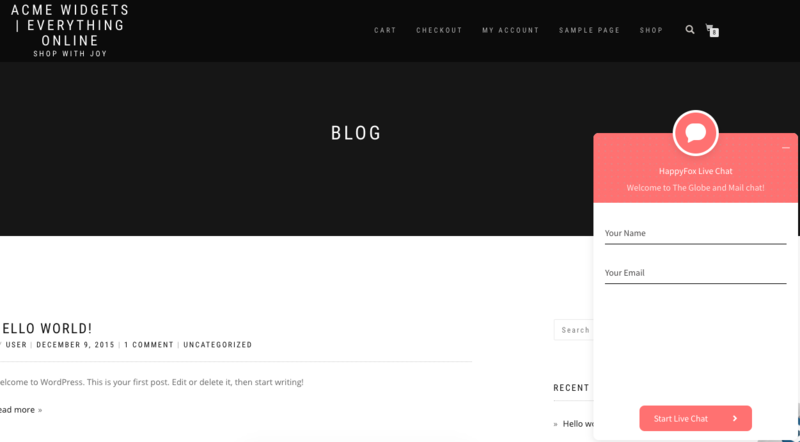 Step 1: Login to your WordPress account → go to the admin panel. Step 2: Click Plugins → Click Add new → Type HappyFox Chat on the search bar. 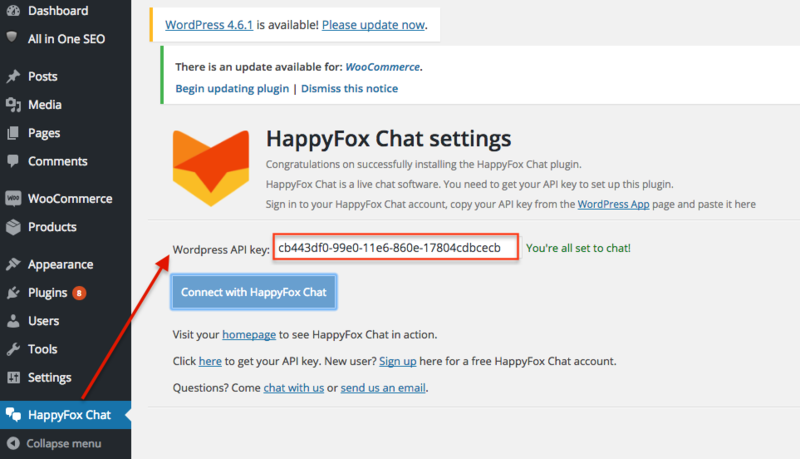 Step 3: Click Install now button on the HappyFox Chat - Free Live Chat for WordPress tile. Step 4: Click Activate plugin. Now, HappyFox Chat will get added to the list of WordPress installed plugins. Step 5: Click the HappyFox Chat on the left pane → Enter the API Key from your HappyFox Chat account and Click Connect with HappyFox Chat button. You are all set to start chatting with your customers!